nero profumo: Vero Profumo Rozy EDP and Voile D'Extrait: Perfumery Can't Get Any Better. Vero Profumo Rozy EDP and Voile D'Extrait: Perfumery Can't Get Any Better. Upon application, the first thing that immediately catched my attention was how easy to like and very approachable Rozy EDP is. It opens with a sparkling combo of old-school fruity notes (mainly peach) paired to a minty and cold-ish geranium which served as an introduction to the main player of the whole composition: rose. Passionfruit is there as well and while confirming Vero's signature when it comes to her EDPs, it also provide a super green / unripe quality that will make of Rozy a fantastic candidate for summer wearings. Rose takes over in the middle phase and is joined by a subtle honey note to warm-up up and slightly sweeten the overall fresh vibe. Just like with basically every other fragrance by Vero Profumo, there's a solid classicism inherent to Rozy but, Vero's mastery and incredible perfume-culture, preserve the whole composition from resulting a stereotypical old-fashioned rose. Yes, it's classic yet somewhat modern at the same time and definitely suitable for both younger crowds and grown-up audiences. The rose note is in complete harmony with the rest of the composition and while definitely being the main player, it never dominates or overwhelms the rest. Instead, it completely merges with other accords giving birth to amazing synergies one can only experience in the most accomplished works by unforgettable perfumers such as, say Kerleo. In this context, Rozy feels like a rose based fragrance, not a soliflore. There's not much more to say about the evolution of this gem if not that a cedarwood note makes its appearance during the drydown to reinforce the bone-structure and provide an overall dryness. With that said, what really matters to make of yet another rose fragrance a standout, it's there. Solidity, honesty, culture end personality. Downline: Definitely the most easily approachable fragrance by Vero Kern and a terrific candidate to become her best-seller. Now, we're talking! This completely moves in masterpieces territories in my book. The funny aspect is that I'm generally neither a fan of rose nor of honey (which both play quite a relevant role here) but, again, Vero's take on the main theme is indeed one of a kind. She takes a very classic theme and completely turns it into her very own take giving birth to one of those fragrances that will surely live a trace in modern perfumery. Seriously. 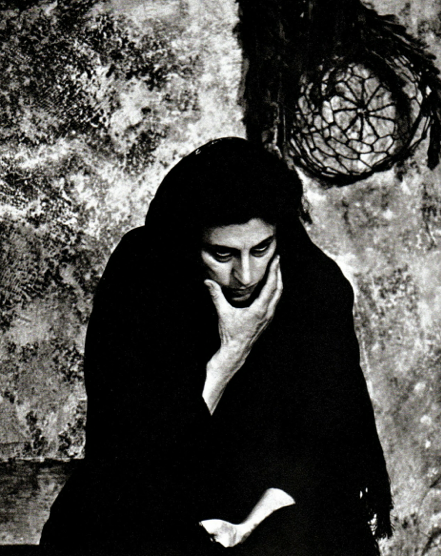 Inspiration here is Anna Magnani, her imperfections, her disarming charme, her fragility, her strength, her peculiar features that made of her one of the most loved and talented actresses ever. In order to fully appreciate Rozy Voile D'Extrait, you have to be fine with beauty achieved through imperfections as opposed to pretty (and boring) features. With daring choices, with unconventional solutions. Don't get me wrong, Rozy VdE is NOT a difficult fragrance but, given its depth and complexity, it surely can be appreciated on several levels. The opening is one of the best things happened to perfumery in a while. Cassis and an almost camphorous tuberose. Seriously, WOW! The fragrance starts evolving by introducing a mix of spices and rose while a dry sandalwood note starts lurking in the back together with honey. In this phase, I get distant echoes of other perfumery pillars (at one point I thought I was catching a kinship with Knize Ten but I'm pretty sure it will probably be just me). With that said, the fragrance still feels incredibly unique and cultured as opposed to safe and stereotypical. In this context, it doesn't smell french, it doesn't smell middle-eastern…it simply smell like something only Vero Kern could deliver. Honey takes over together with other moderately sweet elements (vanilla? sandalwood?) while a subtle dose of styrax provides smoky facets. The drydown is basically endless with continuous kaleidoscopic effects involving all the ingredients into play. It goes from dry and smoky, to sweetish and velvety via woody and obviously…Rozy. 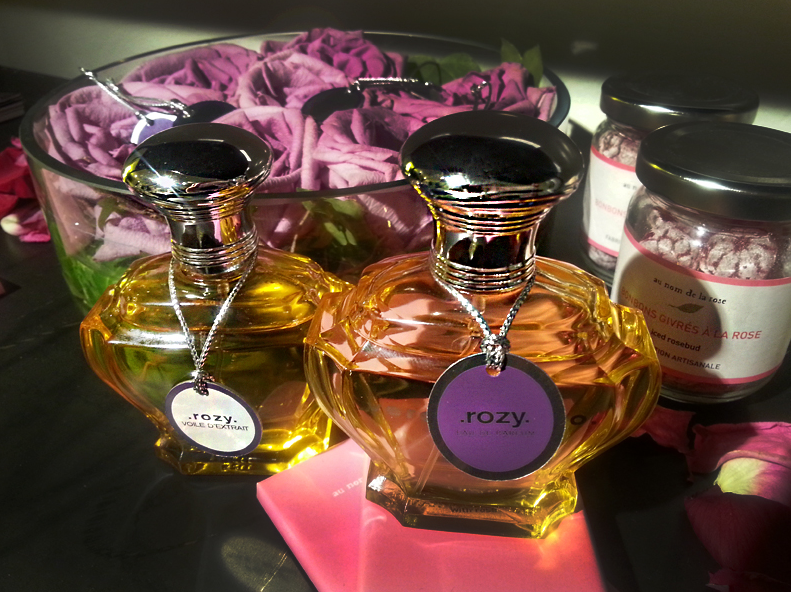 Rozy is an act of love, a tribute and a gift from one of the most passionate and talented perfumers around. In 2014, I hardly can see fragrance going any better than Rozy and, believe me, either you will agree or not, I'm being 100% sincere here. Now, I'm seriously wondering how long it will still take to officially declare Vero Kern as probably the most valid *tout-court* artist in modern perfumery.